Getting invited to a party or a special event can sometimes be intimidating and nerve-wracking especially if you do not usually attend these kinds of activities. Thinking about what to wear and who is going to take charge of your makeup can also be one of your worries. It is essential that you are well prepared for the party, so we have prepared a couple of tips to make things easier for you. Take a good look at the invitation to figure out what kind of party you will be attending. Is it a birthday party, a debut, an anniversary party? Do you need to bring gifts, food or wine for the party? Normally if it is a birthday party, you should consider giving the celebrant an unforgettable birthday gift such as fingerprint jewellery or anything practical that can last for a very long time. You can also ask the host if there is anything else that you can bring to the party so that you can prepare for it in advance. Making sure that you are dressed appropriately for the event is very important. The venue of the party will give you an idea of what to wear and it is usually mentioned in most invitations. When attending formal parties, women should wear a dress or a long gown, and for men, a suit with a tie or tux will do. 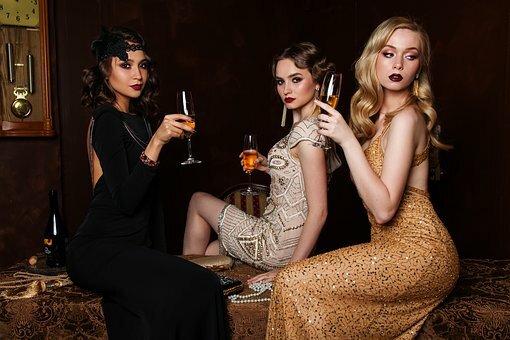 If you are still unsure of what to wear better give the party host a call to clarify things. Most invitations are sent a couple of weeks before the event, so it gives you more time to look for something appropriate to wear. Getting ready for the party takes some time, especially for women. Most women need time to fix their hair, nails and makeup. If there is a need for you to visit the salon then setting up an appointment in advance is highly recommended. Wake up early and do the necessary grooming routine such as taking a bath, brushing your teeth and, of course, for guys to shave. Also, do not forget to prepare your clothes, shoes and accessories, so there is no need to rush during the last few hours before the party. Lastly, do not forget to spray your favourite scent, cologne or perfume to ensure that you remain smelling good throughout the party. One of the most critical points of etiquette that a lot of people forget is to always be on time. Do not try to steal the limelight and grab some attention by making a late entrance. This behaviour is inappropriate and rude in all aspects. In case you are delayed due to an emergency or unforeseen event, make sure to give the host a call and inform them about your situation. Make sure to remember all of the tips mentioned above whenever you get invited to a party because making a good impression on others always matters wherever you go.